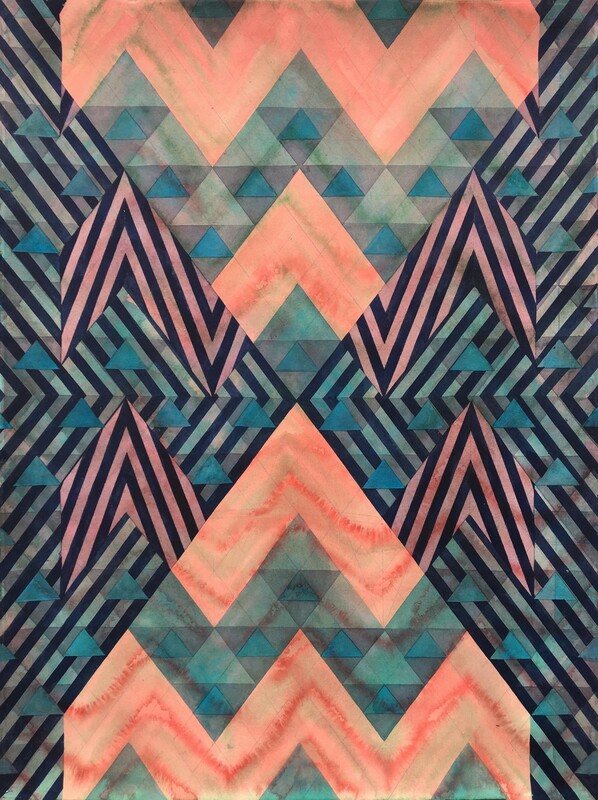 The Ball State University School of Art Atrium Gallery proudly presents a two-person exhibition of artwork by Hannah Barnes, Associate Professor of Art, Painting, and Ted Neal Professor of Art, Ceramics, from October 30 to November 29, 2018. The Atrium Gallery will have extended hours for the November 1st First Thursday from 5:00pm to 8:00pm. Barnes will conduct a public lecture at 5:30pm on November 15 in AJ225 regarding her work in the exhibition and her research in India after receiving a Fullbright Scholarship and a sabbatical leave during the 2017-18 academic year. 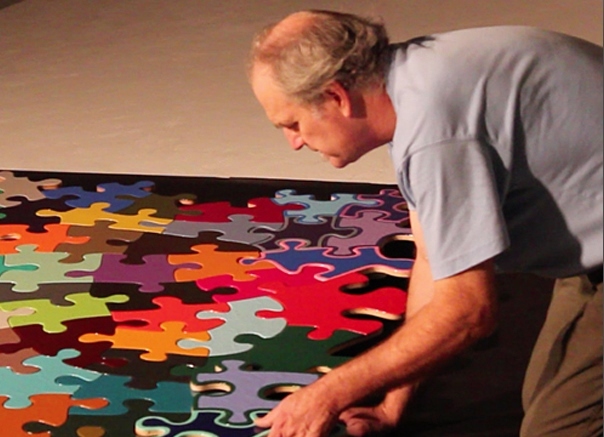 Neal received a sabbatical leave for the 2018 spring semester and will conduct a Gallery Talk on his work on Monday, November 19 at 3:30pm in the Atrium Gallery. Barnes creates work that draws on a familiar vocabulary of abstract forms and tropes to explore the nature of meaning within abstraction. Her work in painting, drawing, and installation engages ideas such as structure and fragmentation, surface and depth, perception, illusion, impermanence, and the indeterminacy of images. The School of Art Atrium Gallery is in the Art and Journalism Building and is open Monday through Friday, 9 a.m.-4 p.m. and Saturdays 1-4 p.m.
Book Arts Collaborative and Tribune Showprint will be open for shop tours. 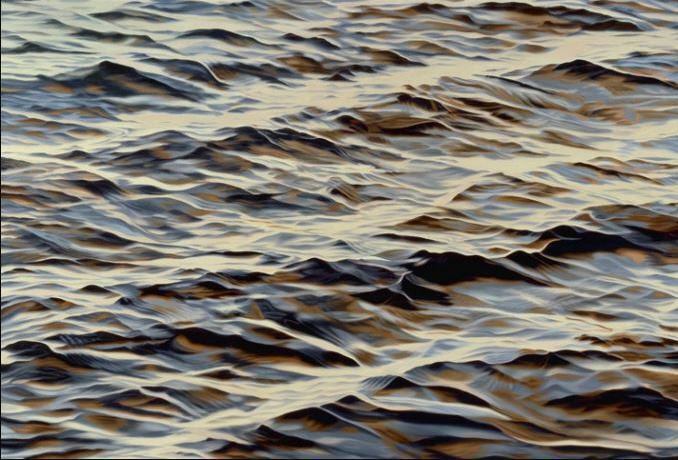 Kevin Campbell’s meticulously painted water landscapes at the Brinkman Gallery are full of dualities. At a distance they appear photorealistic, but as you approach the pattern of the waves begins to break down into abstract forms and shapes. The limited field of the canvas has become a snapshot of eternity. Just as the sailor cannot drink the sea, he can only sail over its surface, viewer of art can only skim, they can never plumb the depths to know the heart of the one who created it. Kevin is a native of Griffith, IN and moved to Muncie in 1972 to attend BSU. He have lived in Muncie ever since. 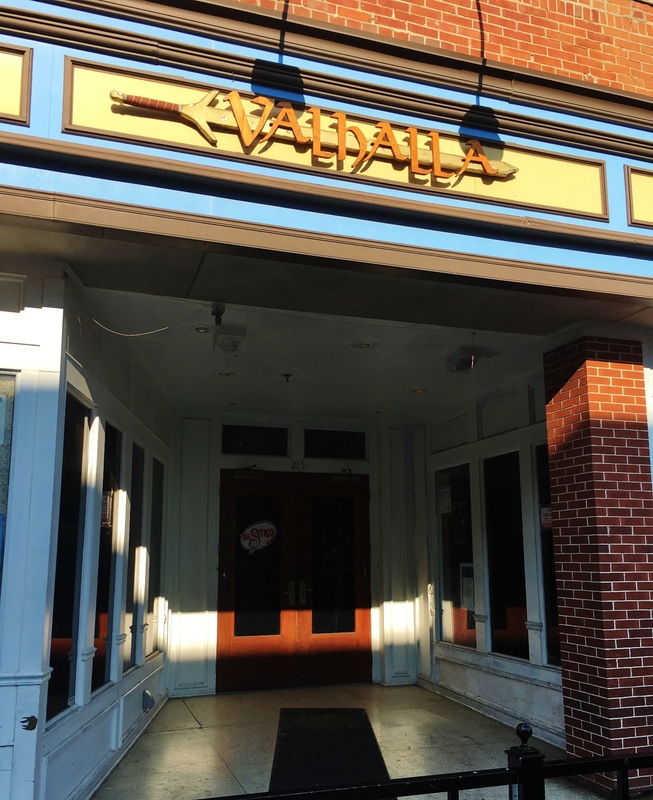 Brinkman Gallery is located at 409 South Walnut Street – corner of Walnut and Charles and welcomes guests to meet Kevin Campbell and enjoy refreshments during First Thursday. 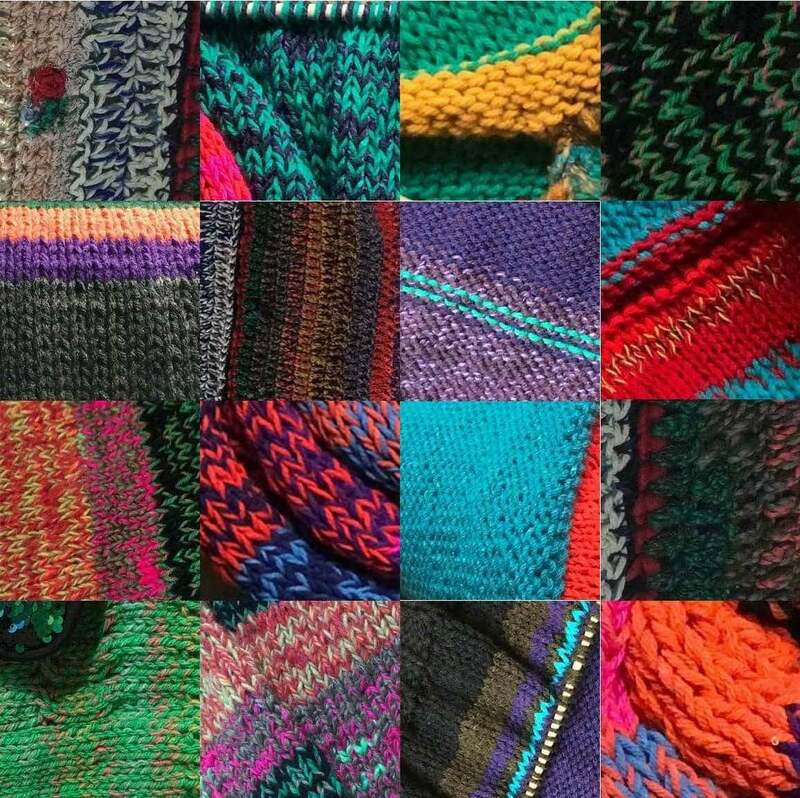 Join Cornerstone Center for Arts on Thursday, November 1 for the opening reception of Studies In Isolation, an art exhibition by Shannon Mehaffey. The reception will take place in the newly renovated Judith Barnes Memorial Gallery on the second floor of Cornerstone Center for the Arts from 5:00 to 7:00 pm in conjunction with November’s First Thursday events. 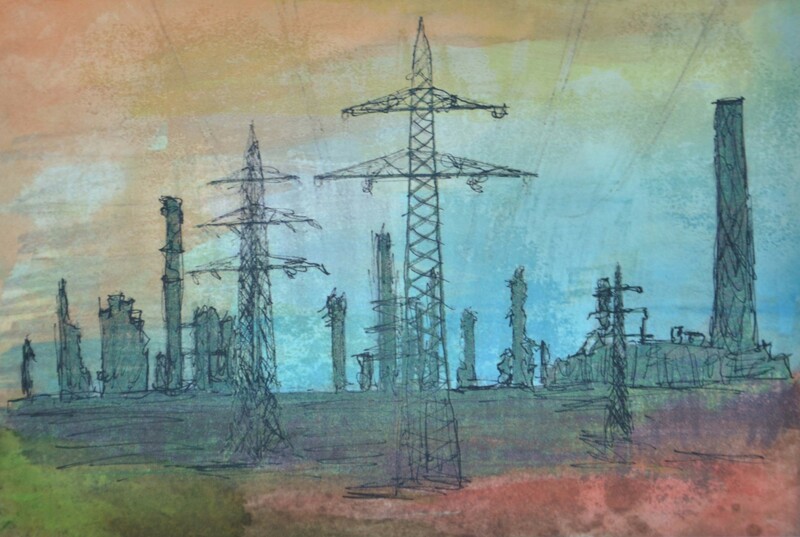 Studies In Isolation is a mixed media series of paintings depicting derelict and vacant landscapes. Abandoned buildings, factories, blight, and power lines all serving as metaphors for loss, grief, and enduring hardship within oneself and surviving. The artist tries to convey a sense of beauty and wonder using color despite the blight around her; fueling a sense of optimism and a drive for survival. 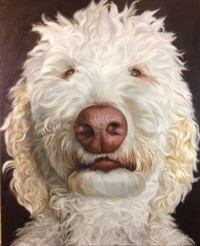 Shannon Mehaffey is an artist and educator living and working in Muncie, Indiana. She teaches watercolor painting and mixed media arts to adults and youth at Cornerstone Center for the Arts. 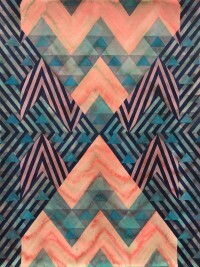 Her work often incorporates elements of collage, alternative process photography, watercolor painting and drawing. Common concepts explored throughout the works often come from personal histories of growth, redemption, feminism, survivorship, and grief. Studies In Isolation will be on display and open to the public in the Judith Barnes Memorial Gallery throughout the month of November. 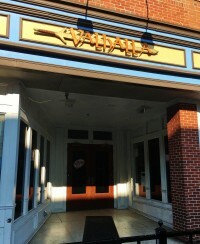 During the month of November a photographic art show featuring DWNTWN Muncie sunsets will be at The Fickle Peach. The name of the show is “Take A Moment" and is by downtown native Robby Tompkins. He began taking sunset photos a few years ago as a way to pause, relax, and put away the stress and hustle of everyday life. 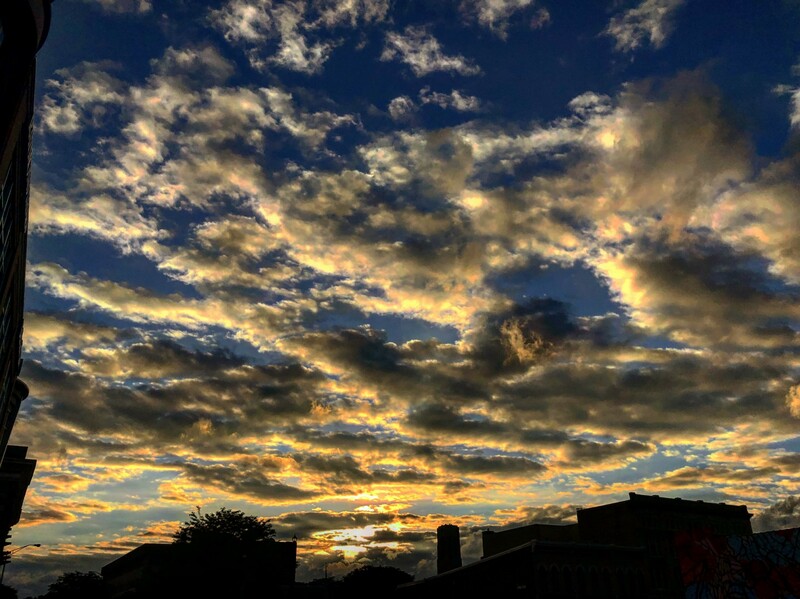 The show features 25 sunsets taken from the same downtown Muncie location. The 500th anniversary of the arrival of Christopher Columbus in the western hemisphere in 1492 was the occasion for national and local celebrations. However, for Native people it was an occasion they could neither fully embrace nor participate in. Congress acknowledged their concerns regarding the Columbus Quincentennial by enacting 1992 as the “Year of the American Indian" signed by then President George H.W. Bush. The American Indian response to the anniversary was marked by public protests. Yet, it also was seen by many in that community as a special, year-long opportunity to hold public education events, commemorations of ancestral sacrifices and contributions to America, and celebrations for the survival of Native peoples over five centuries. Debra Gindhart will celebrate Native American Heritage Month with an assemblage art series "Native American Indian Genocide". Adding several new pieces of art to her current collection. 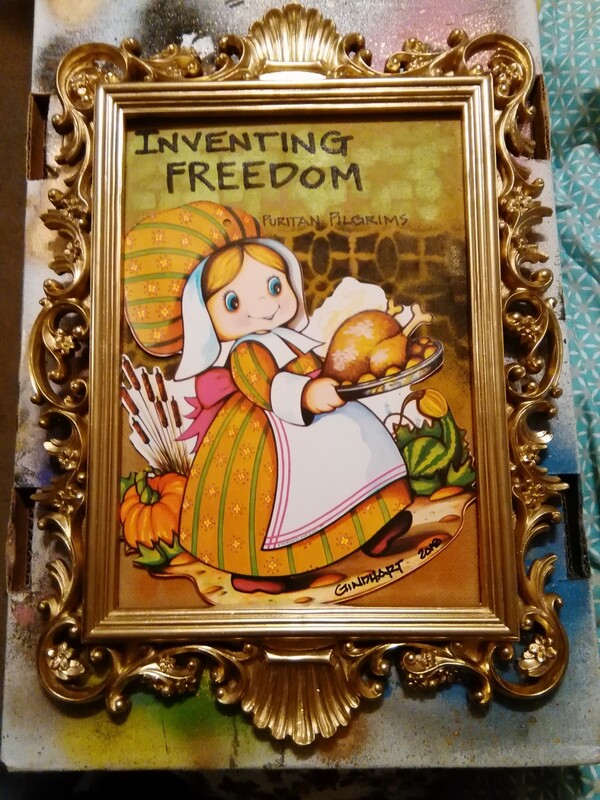 Art reflecting history in vibrant colors and mixed media. Debra has also created a beautiful Green Glam Studio jewelry collection using native natural stones and beads. Her maker homage to Native American Indian bead works and artisans. 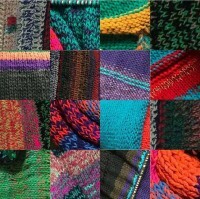 Join Debra in her Gindhart at Madjax studio/gallery for November's First Thursday second floor Madjax Muncie. 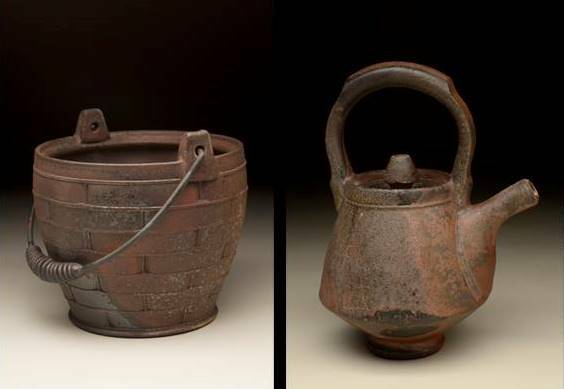 Enjoy light refreshments and meet the artist from 5-8pm in the 2nd floor studio/gallery. Gordy Fine Art & Framing Company will open its annual Holiday Showcase on First Thursday, November 1 from 5-8 PM. Gordy is the area’s leading source for holiday gifts that are handmade locally. 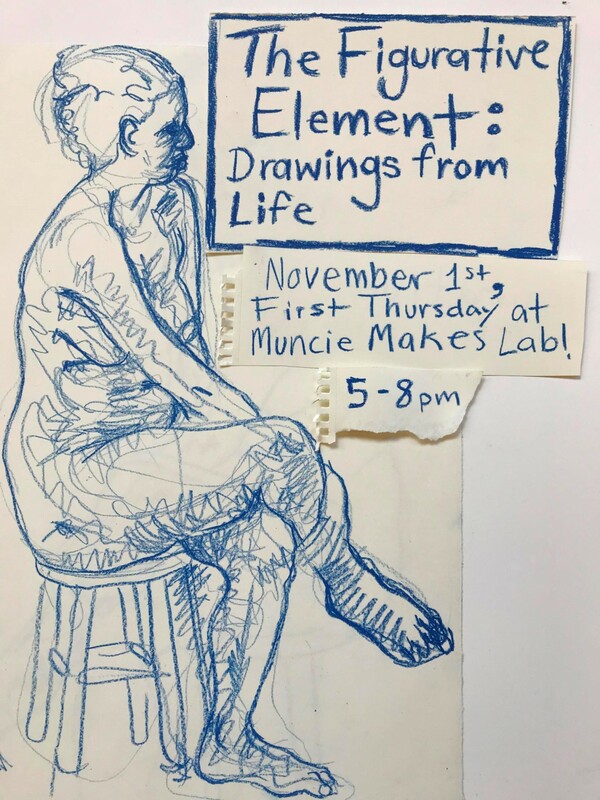 During the event representatives will be on hand from Muncie’s Book Arts Collaborative, a letterpress shop and book publisher managed by Ball State immersive learning students. They will give a special presentation of their work at 6:15 and will discuss their products such as hand-sewn journals, coasters, and greeting cards. 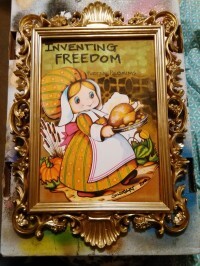 The event is open to the public and light refreshments will be served giving customers the opportunity to buy unique objects created by local artists for holiday decorating and gift giving. In addition to items from the Book Arts Collaborative, the Holiday Showcase offers drawings, jewelry, and pottery by skilled local people. Prices range from $1 to $2,000, with most falling between $30 to $200. 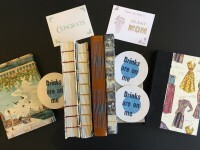 From whimsical “Funcie” signs and shirts to handcrafted mugs and plates. Paintings and prints capture Indiana’s landscapes in both traditional and contemporary styles. 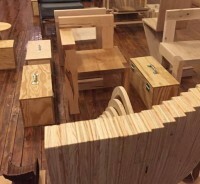 The show will run through November and December and new items will be continually added. 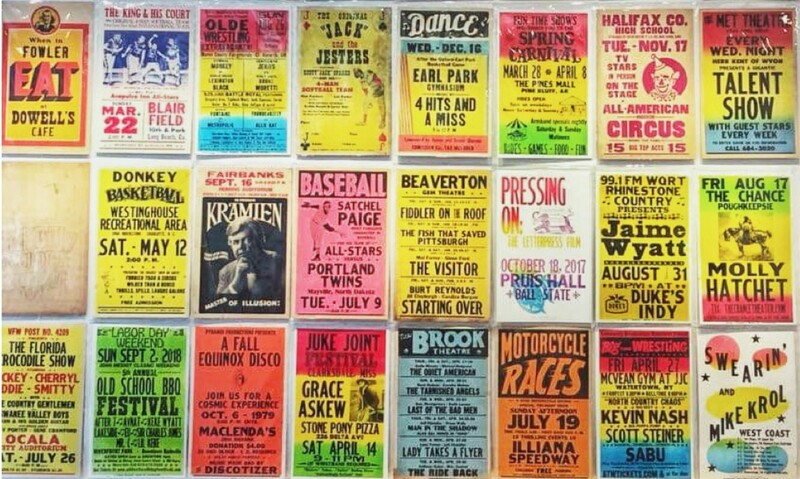 The Guardian Brewing Company will be showcasing the rich history and diverse collection from Tribune Showprints. Architecture students from the College of Architecture + Planning designed and constructed a couple of simple wood chairs and toolboxes. 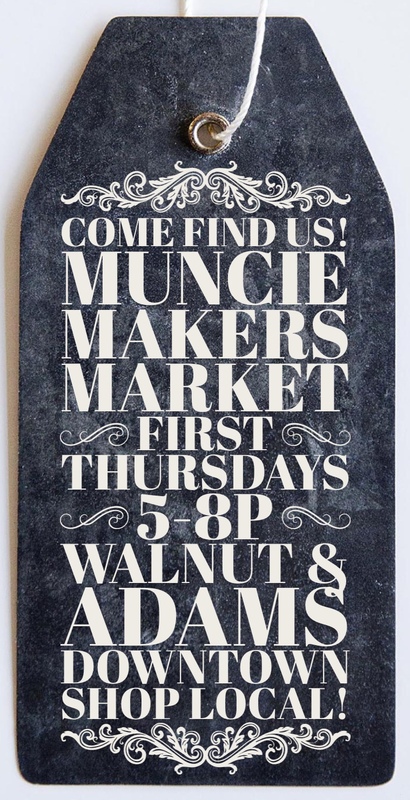 The Muncie Makers Market is excited to bring fresh homemade food, locally grown fruit and vegetables, fresh and dried herbs, live plants, beautiful art, and handmade crafts of all kinds to First Thursdays in Downtown Muncie! 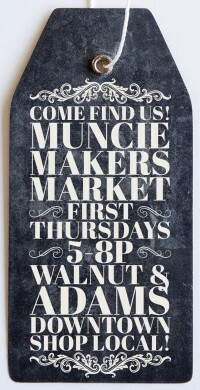 We’ll be on the corner of Walnut and Adams, in front of Toys Forever and the Muncie Map Co, from 5-8p during our town’s monthly celebration of local arts and culture, First Thursday! 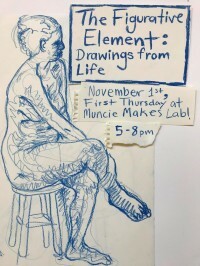 A group show of drawings made by Ball State students, alumni, and faculty. The drawings in the exhibition are drawn from life. We believe that drawing from life creates a more sensitive and lively drawing which reveals subtle decisions made by the artist and makes a record of an encounter with the subject being drawn. Curiosity and a passionate spirit of inquiry have always helped me foster learning to fashion architecture in so many ways. Aaron Betsky challenges: ‘Is an architect more than just somebody who gets buildings built? Any architect who has a sense of self-worth derived from something other than money or the satisfaction of getting a job done must answer this question. That means that she or he must believe that there is either an artistic role (making beauty) or a critical one for the architect. Both are profoundly difficult notions to maintain.’ Here I am (once again) trying to maintain both of those complex hypotheses. The construction of the structural forms created intends to provoke the force that attracts a body towards the center of the earth, or toward any other physical body having weight. Those anatomical shapes are result of a deep exploration on the material used. To stretch, to fold, to pleat, to compress, to crimp, to crinkle, to ruck up, to crease, to surface, among others, become new components of the architectural vocabulary and, essentially, creative parts of the making of architecture. There is more. I do believe in explorations (future) that go beyond the experiences already done (past) and cross-examine subjects from 360 degrees leaving behind presuppositions or preconceived concepts. In My Hands and In My Heart are two performances brought to you by Minnetrista’s highly lauded Theatre Preserves. These original plays incorporate aspects of Ball Corporation history while addressing questions of morality, community, and responsibility. Minnetrista Theatre Preserves presents ‘In My Hands, In My Heart’. The performance tells the story of two young men working at the Ball Canning Jar Factory in 1928. Each of these young men make a terrifying discovery as they clean the factory floor: a jar molded with the crest of the Ku Klux Klan. Through evocative storytelling the show outlines the response to their discovery, exploring the historical perspectives and challenges of the time, as well as questions of personal integrity. The performance demonstrates the power of considering the experience of those whose lives differ from our own. Due to the serious nature of the subject, recommended for ages 12 and up.